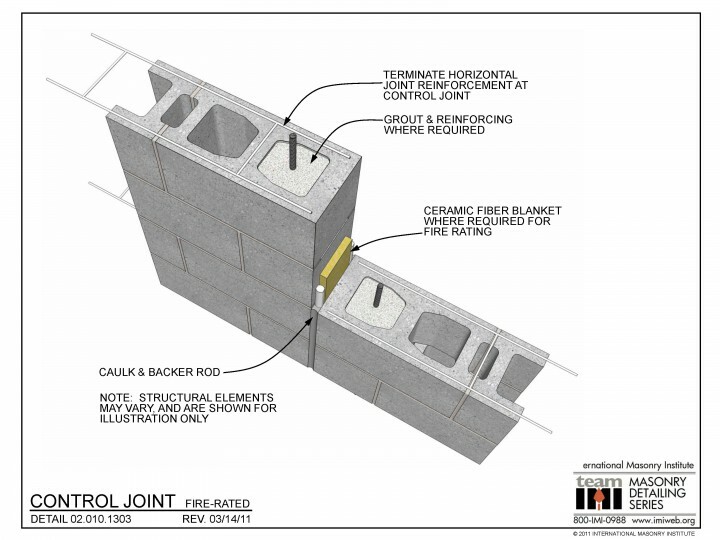 This detail shows block with flat ends being used at the vertical control joint. Fireproof material resides at the vertical CJ, along with sealant and backer rod. This detail allows shrinkage of the block, but does not resist lateral loads. 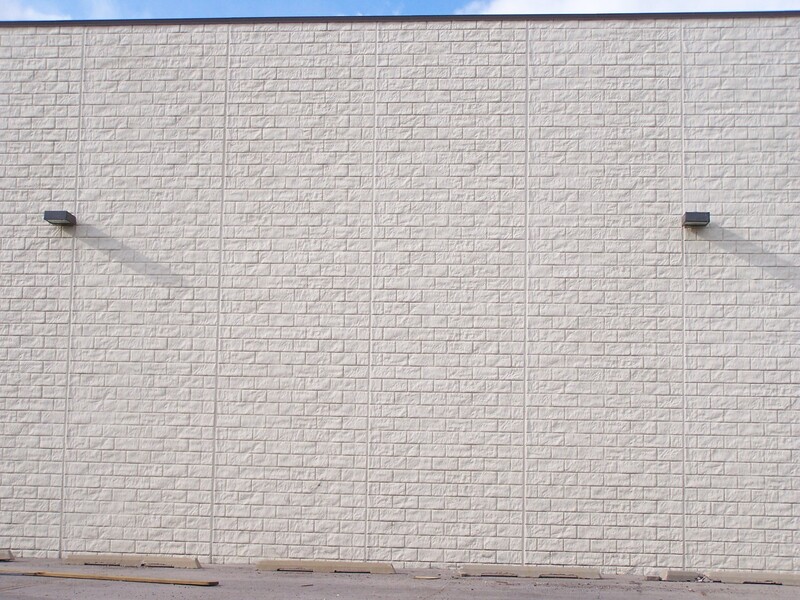 There is horizontal joint reinforcement at 16″ o.c. vertically in the wall, interrupted at the CJ. The detail shows optional vertical reinforcement and grout at the cells adjacent to the CJ.